Complete and Balanced meals with 90% of total protein from animal sources. Real premium quality ingredients sourced & made locally in Australia. Being a pet owner, I want to know that my furry family members are enjoying real, nutritious meals and treats, just like me. Free from Grains, Soy and Legumes. Made and Owned locally in Australia. 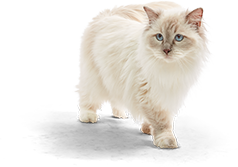 Enlisting Australian owned manufacturers we can assure you that you are feeding your pet companion the best pet food Australia has available. Ultra low in sugars and carbohydrates, Healthy Everyday Pets is set to revolutionise the pet food industry. We ensure that each product in our range is full of REAL premium quality ingredients and not sugar-filled JUNK food. As a chef I’m known for my focus on healthy cooking, so the idea of creating a range of healthy pet foods feels like a natural progression for me! Being a pet owner, I want to know that my furry family members are enjoying real, nutritious meals and treats, just like me. So, it’s my absolute pleasure to introduce you to my Healthy Everyday Pets treats, complete meals and supplements.